OMG Posters! 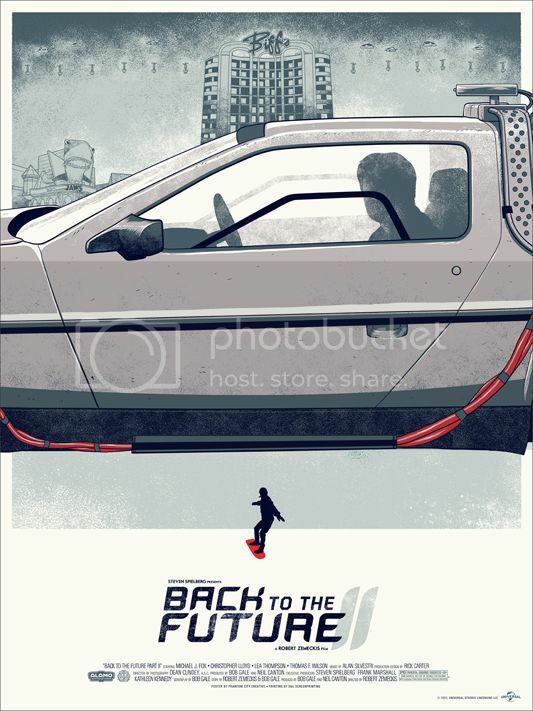 » Archive Back To The Future Trilogy Posters by Phantom City Creative (Onsale Info) - OMG Posters! 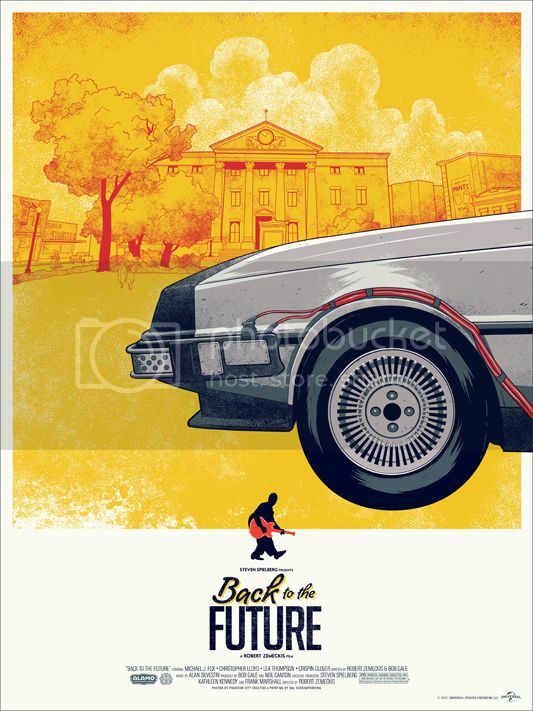 Mondo will release this trio of Back To The Future posters by Phantom City Creative tomorrow. The set includes three 18″ x 24″ screenprints, has an edition of 420, and costs $88/set. There is also a combined version (16″ x 36″) with an edition of 115 for $120. These go up tomorrow (Friday, March 2nd) at a random time. Visit Mondotees.com. Getting a print from Mondo is like winning a lottery. I couldn’t even load the site before they were sold out- I assume because of too much traffic. 6 prints that were listed at $199.00 on Ebay have already sold out. Not doing it for me. These movies have the absolute best typefaces for the titles… to see them changed is a bummer to my nostalgia. can you guys call dylandad something other than DD, its throwing me off. EB says someone paid $999 for a set…WTF? Hopefully Mondo doesn’t start to say, “Screw our website, let’s just do this release on The Bay!” Ha ha! All, I bought one of the 3 sets, but looking it over multiple times i am just not happy with the work. The thought of Back to the Future blinded me. If anyone is interested in taking it off my hands let me know. As a shock i just want what i paid, $103 plus whatever it cost to ship, unless you live in the Chicagoland area. Just reply to this post. Mondo is refusing a return because of all the Flippers. You can flip it on Ebay for a nice profit. @Mike I am interested I am not a flipper and really wanted this for my wall, and seeing as I just missed out on Drive again, this would be a nice consolation prize. I live in Indy for shipping purposes let me know. Immediate flipping totally kills the hobby, morals won’t let me do it. Now that I think a little deeper, not sure how we are going to get the monetary part taken care of. Do you have any friends in Chicago that could handle it for you or ever come up? e-mail me at micook77@gmail.com if you have any ideas. I’m surprised these are flipping for some much really. I get that the name alone adds some value, but not that much in this case. 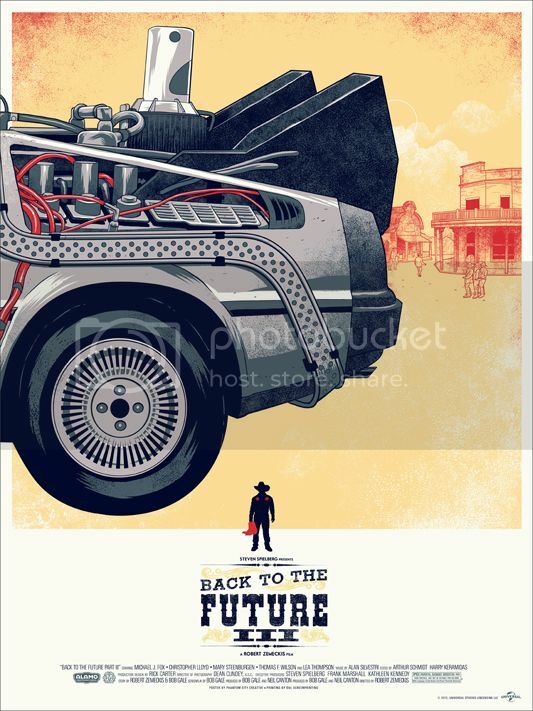 Especially when there are so many on ebay, and there are almost certainly going to be more BttF themed posters in the future. And flipping is not killing the hobby. It’s a symptom of the growth of poster collection far outgrowing the unchanged low release edition counts. Comic book, magic type card game, and toy collectors have been dealing with this for god knows how long, and yet those hobbies have survived. It’s getting harder and harder to score prints.. saying that, they seem to be geting better and better so al credit to mondo!